We are close to eradicating Polio in the world: since 1979, Rotary and its partners have reduced polio cases by 99.9%. Poliomyelitis is a contagious illness that can cause nerve injury leading to paralysis, difficulty breathing and sometimes death. It mainly affects children under the age of 5. There is no cure but it is preventable with a vaccine. 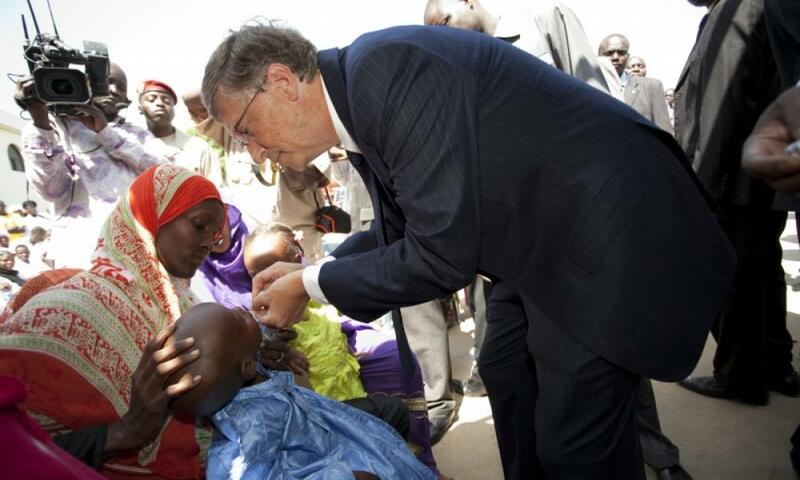 2009 - The Bill and Melinda Gates Foundation pledges $355 million: a total of $555 million are raised in a combined effort to support the Global Polio Eradication Initiative. Since January 1, 2000, the only Polio vaccine used in the United States is the injectable IPV (inactivated Polio vaccine.) However, this does not seem the best option in this race to eradicate Polio. In our fight against Polio, the switch to the injectable is not an option in many areas. Our supply system and cold chain are stretched to keep up with the storage and transit requirements of the oral polio vaccinations. Then there is the considerable additional effort to train a workforce to inject the vaccine and manage clean and antiseptic conditions for the equipment. Rotary is committed to raise $50 million to be matched by $100 million from the Gates Foundation - for each of the next two years - for a total of $300 million for the Global Polio Eradication Initiative. Until eradication is certified, we need your help to win this fight!